The cataclysmic events that changed Ireland in the century before 1660 led to the emergence of a new social order, dominated by a fairly homogeneous ruling class of Anglican gentry. This group went on to achieve a remarkable economic and political ascendancy over rival social and religious groups until the last quarter of the eighteenth century. 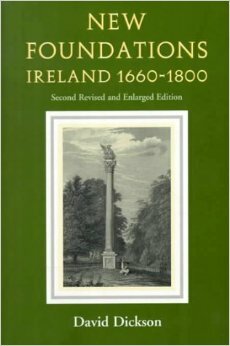 New Foundations is a comprehensive general survey of this formative period of Irish history and explores how such a monopoly of power was achieved, consolidated and eventually challenged – from above and from below.